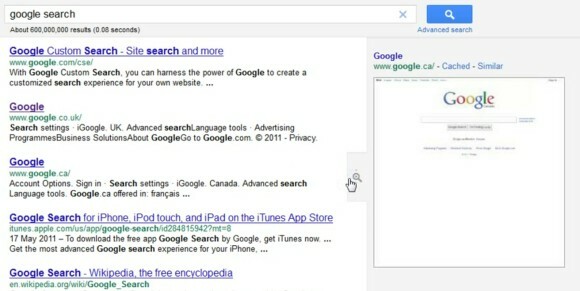 Alon Laudon spotted a new experimental interface for Google's results pages. The most important change is that most navigation elements continue to be visible even when you scroll down. The navigation bar, the search box and the search options sidebar have a fixed position, which means that you no longer have scroll to the top of the page to edit the query or switch to a specialized search engine. The new interface seems to set the stage for a fluid design that removes pagination and replaces it with infinite scrolling. 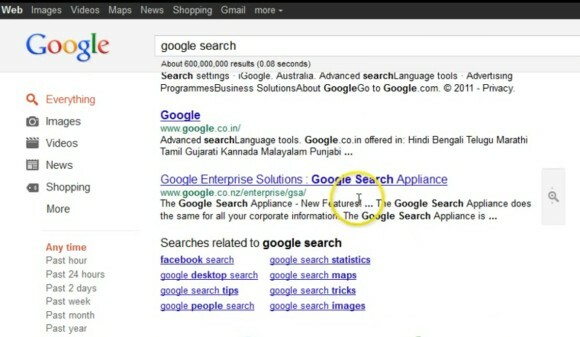 In fact, most the changes are already available in Google Image Search, which uses infinite scrolling. Alon also noticed a new UI for Instant Preview. "Page preview is a little different - the button appears to the side of the result text preview instead of to the side of the result webpage name. The site also doesn't pop up the preview when you simply click something inside the text, you have to hover over the magnifying glass icon." Great! The new interface it's minimalist and so clean... I liked this. All new features and design in all apps are cool and impressive!